Two years later, while still at KHJ, Kelly began studying acting and soon landed a role as the venomous D.J., "Bebe Jesus", co-starring with Barbara Streisand and Kris Kristofferson in the 1976 film, A Star is Born. Next came a departure from the typecasting when Clint Eastwood tagged him as the Priest, "Father John Voss" in The Enforcer. Within a three year period, Kelly proceeded to act in eight more feature films including The Buddy Holly Story and The Fifth Floor. He also was cast in nearly 50 guest star roles on prime time television. In 1978, during his time at KTNQ, Kelly was chosen as Billboard Magazine's "National Radio Personality of the Year." He went on to enjoy a successful voice-over career landing hundreds of national ads, movies trailers and network promos. Kelly also continued his acting, adding more episodic television shows to his previous resume including, WKRP in Cincinnati, CHIPs, Knots Landing, Hill Street Blues, Too Close For Comfort, Mork and Mindy, Happy Days and M*A*S*H and many more. In 1980, M.G. Kelly hosted a weekly syndicated television series entitled, The Rock Show. This "music video program" was broadcast throughout the U.S. and Europe - prior to the launch of MTV. By 1984, CBS convinced Kelly to move to New York City and join CBS Radio. There, he produced weekly syndicated programming for the network including, "Dan Ingram's Top 40 Count Up" and Kelly's own introduction to national radio, Top 30 USA. After a couple of winters in The Big Apple, Kelly relocated his production and hosting duties for CBS back in Los Angeles. Meanwhile, Kelly signed with Merv Griffin Productions for over 200 episodes as the announcer for Wheel of Fortune. At the same time the wheel was turning, M.G. Kelly added afternoon fire power to KIIS-FM Los Angeles. In 1986, Kelly created his second radio project for syndication called "Live from The '60s". 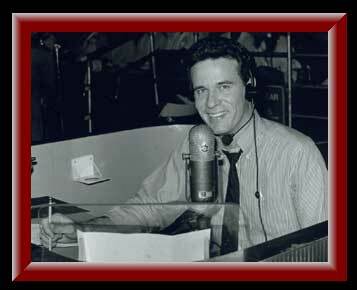 To host the program Kelly approached his biggest radio idol The Real Don Steele. Between 1987 and 1993, Live From The '60s was heard on over 200 radio stations. With Kelly writing and producing the series while Steele hosted, "Live from the '60s" won for "Best Syndicated Show" of 1988. By 1989, a new oldies station in L.A. was rounding up the Boss Jocks. The Real Don Steele signed on and Kelly left KIIS-FM to join Steele, along with Charlie Tuna, Humble Havre and Rich Fields. It was a familiar dial position, "93", but this time it was FM, KODJ. In 1990, Kelly formed a seven piece rock band called M.G. Kelly and The G-Men. The group featured Kelly on drums doing his radio shtick live. They opened for dozens of top acts including Chuck Berry, Three Dog Night, Tommy James, Johnny Rivers and The Beach Boys. Kelly and The G-Men played numerous times at The Universal Amphitheater, Pacific Amphitheater and The Los Angeles Coliseum. In 1995, Kelly left the States for England where he and his wife guest hosted on Capitol Gold, London as "M.G. and Molly". Over the next four years they were also heard on KBGO FM, Las Vegas, and MIX 96 in Alberta, Canada. In 1998, Kelly was inducted into The Nevada Broadcaster's Hall of Fame. The same year his work from KHJ was introduced at The Museum of Television and Radio in Los Angeles. Since 1998, Kelly produces and hosts what many in the radio industry call "the best works of his career." His syndicated programs include American Hit List, The Amazing '80s, Back to the '70s, Classic Hit List and Your '90s Rewind. Presently M.G. Kelly and Shaune Steele have relaunched "Live from The '60s with the Real Don Steele". Kelly's syndicated shows continue to be heard on radio stations in America and around the world.